Jeff Garzik makes up for a substantial portion of the Bitcoin development team. Self-described as a Husband, father, Linux kernel, cloud computing, Bitcoin, armchair foreign policy nerd & kinda sorta libertarian. 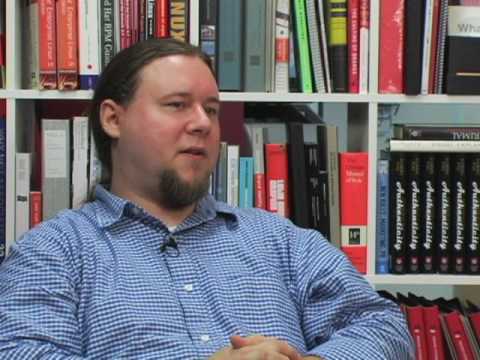 Jeff Garzik is an American Red Hat engineer and Bitcoin developer. He studied at the Georgia Institute of Technology and currently is employed by Red Hat as a kernel developer. He is also the founder of BitcoinWatch, a website for statistics in Bitcoin. Garzik wrote the original push-pool daemon used by all of the pooled miners today. He’s also the original author of ethtool. As an advocate of Austrian economics, Garzik argues that the deflationary aspect of Bitcoin makes it a superior currency and that the decentralized nature means it’s a fairer means of commerce. Bitcoins technical side has been covered in great volume, so I requested a few opinions from Jeff Garzik during our discussion below. Question: What is the most non-technical way to explain Bitcoin? Answer: A global Internet currency with no central bank or controlling authority. Question: When is Bitcoin-qt likely to come out of Beta? Answer: When “lightweight client” mode is fully functional and tested. Perhaps a year or two. Question: Do you see Bitcoin as the end product or are there forked technologies that may take over as the anonymous currency of choice? Answer: Bitcoin is just the beginning of a brand new category of algorithms. Bitcoin itself may fail, but it is the first of a new category of “crypto-currencies” based on the proof-of-work algorithm method. Question: How is the Bitcoin development team funded? Answer: Gavin Andresen is very recently employed full time by the BitcoinFoundation. All other developers are unpaid volunteers. Question: What is your Vision on the future of money? Answer: Bitcoin, the Euro, the US Dollar, China’s RMB will all exist on an even playing field. You may choose which type of currency you hold in your wallet, and transact with. Question: Any thoughts on Bitcoin in India? Answer: Would be great! Among other things, Bitcoin is great for low-fee remittances from relatives overseas to those at home. 2013 was expected to be a big year for Bitcoin in India, with small Exchanges emerging and IndiaBitcoin coming up fast as a one-stop-shop for Bitcoin in India. As Jeff’s last answer had suggested, remittance is a huge opportunity for Bitcoin in India and there is an initiative being planned for a service rollout this year as well. Remittances is a growing market in India. Currently dominated by banks or Hawala operators (Interpol Hawala Document), Bitcoin can instantly change this market bringing about a tremendous positive change to the way remittances can occur. Thanks to the global ledger capabilities in the blockchain. This change can even be driven and adopted by the remittance companies and banks currently operating in India. As a progressive regulator of this 1.2B population economy, the RBI have recently increased their cap for remittances from US $25,000 to US $200, 000 under the Liberalised Remittance Scheme of USD 200, 000 this was upgraded from the original document that can be found here. Pretty short article. Almost too short. A currency whether tangible or digital is a unit which measures the value of goods & services in ALL WALKS OF LIFE. When Marconi invented the radio, people thought that he was mad. Again when Techies said that Electronic-cards can enable business transaction, people laughed initially. But today Credit cards & Debit cards are a reality. At every stage of Technological Growth & Evolution CRITICISM from people in power & the pseudo-intellectuals HAVE TO BE FACED. If the young & nacsent digital currency BITCOIN needs to become a Global currency, it must get the approval of the majority of countries or the UNITED NATIONS ORGANISATION. You should check all the pull requests on github to see the fixes in place. It is one of the most transparent systems around. The FedGov may impact trade in the US, but not elsewhere. They will also push the prices sky high. I know for certain that with each regulation about Bitcoin coming up, it proves that there is no other way to take it down than some flimsy laws. finCEN’s announcement made me stronger believer in Bitcoins survival and surge.